We face a similar challenge to what St. Paul faced in the early church. Note who Paul is writing to. He’s not writing to nonbelievers, but to Christians, Christians in Corinth (1 Cor. 1:2), yet Christians who deny “that there is a resurrection of the dead” (1 Cor. 15:12). In Paul’s day, as recorded in the text, there were those who denied that a resurrection of the dead existed. This would also include the denial, and consequence, of Christ’s resurrection. Today, there are those in Christendom who deny that Christ bodily rose from the dead. These will indeed speak of a resurrection, but not a bodily, physical resurrection of our Lord. As other parts of Holy Scripture are allegorized and considered “not real,” “mythical,” or merely “symbolical,” so it has come to be with the resurrection of Christ. An examination of even one text, that of St. Luke, however, reveals a far different conclusion. In Luke 24, Jesus appears to His disciples (after speaking with two disciples on the road to Emmaus (13-35). In Luke’s account, Jesus says to His disciples, “See my hands and my feet, that I am He; touch and see, because a spirit does not have flesh and bone as you see me having” (39). In addition, Jesus also eats fish in front of them (41-43). By saying and doing these things, Jesus confirmed what the disciples saw (and had heard), that He was bodily alive, physically risen from the dead; not a ghost, not a phantasm, but truly and really the risen Lord and Christ in flesh and blood. According to the text of Scripture, one cannot deny the bodily resurrection of our Lord. To say that Jesus only has “risen in our hearts” or is alive somehow in a metaphysical or non-corporal way is really, to deny what the text says, and to reject the Christian faith, for as Paul states, “And if Christ has not been raised, your faith is futile and you are still in your sins. Then those also who have fallen asleep in Christ have perished” (1 Cor. 15:17-18). To deny that there is a resurrection of the dead is to deny Christ’s resurrection from the dead. And to deny Christ’s resurrection is deny the work of God for our salvation. Faith in Christ would only be delusional and without any foundation whatsoever. And if this were the case, we would still be lost in our sins, having no hope. Christians would then be the most foolish of people, believing in something that didn’t happen as if it did. Yet, as Paul, Peter, and the Evangelists reveal, Christ is risen (bodily) from the dead! The tomb is empty, only because God the Father raised His Son from the grave (Acts 2:32). This means that the message of our Lord is true! Your faith in Christ is not in vain. It is not useless, nor is it meaningless. Nor do you remain in your sin. Christ’s resurrection means that your sin no longer has any say over you (Romans 6:1-14; 8:32-34). Christ’s resurrection also means that the resurrection of the dead is true. This also means, your own to come. Let others say what they will about the resurrection of our Lord, but we declare with Scripture, with the Apostles and Evangelists, and with the whole household of God, that God raised His Son from the dead. Christ is risen. He is risen indeed! Hallelujah! Prayer: Gracious Lord, grant us faith not to doubt, but to firmly believe in Your resurrection, which means also our own, from the dead. Raise us to new life in You, that we deny ourselves, forsake our sin, and follow you. Amen. 19 If in this life we only have hope in Christ, we are to be pitied more than all men. 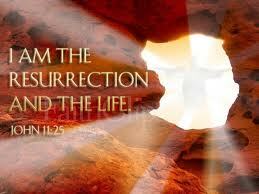 20 But Christ has indeed been raised from the dead, the firstfruits of those who have fallen asleep. 21 For since death came through a man, the resurrection of the dead comes also through a man. He is Risen. He is Risen indeed. Alleluia! On this joyous occasion, Christ’s church confidently rejoices in the bodily resurrection of Jesus her Lord. The suffering and death that Christ had endured is now past. Jesus reigns victoriously over death and the grave. His three-day tomb remains forever empty. Jesus is risen, just as He had said. Sin has lost its power and dominion. Jesus our Savior died with your sin on the cross Good Friday. But He who knew no sin, who became sin for us, was the only victor, the only one of the two standing when all was said and done. Darkness had covered the land with Jesus’ death. But now, the light of Christ shines brightly, piercing through the darkness of death and rejoicing the heart with resurrected gladness. News of Christ’s triumph flows as a river throughout the world, giving life to all who drink from it. This water is the pure water of God’s truth. This water contains no contaminates, nor is any harmful material to be found in it. It does not make sick. It brings to health. It does not make weak. It brings strength. It does not cause complacency. It moves to faith. It does not cause despondency. It moves to confidence. It does not bring hopelessness. It raises to blessed assurance, the blessed assurance that Jesus is yours, that He has overcome death and the grave. Just as He has been resurrected from the dead, so you too are brought to life in Christ Jesus our Lord, raised from the deadness of your sin to the resurrection of eternal life. This is good news! Christ has now arisen. Had Christ, who once was slain, not burst His three-day prison, our faith had been in vain. The words of Hymn 482 in Lutheran Service Book, appropriately titled, “This Joyful Eastertide,” echo the words of St. Paul where he writes, “And if Christ is not risen, then our preaching is empty and your faith is also empty” (1 Corinthians 15:14). With these words, St. Paul the apostle demonstrates the futility and the utter uselessness of faith apart from the bodily resurrection of our Lord. In the day of this blessed apostle, there were those who claimed that there was no resurrection of the dead (v12). For some reason, they had lost sight of the truth of Christ’s resurrection. Having lost sight of that, they could do no other except lose sight of the hope and promise of God. Though St. Paul proclaimed Christ as having been raised from the dead (v12), this message had lost significance among some in the church of Corinth. Therefore, these men falsely concluded that there was no resurrection from the dead. Having no confidence in the Lord’s resurrection, they could do no other except construct a hope of their own making. In the process, the very hope that St. Paul had preached to them became null and void, not because it wasn’t true, but because there was no trust in what had been rightfully and diligently proclaimed. Except it be for the witness and testimony of the Holy Scriptures, we too would be in the same boat of doubt and denial when it comes to the resurrection of the dead. But the Words of God before us today reveal differently. This day called Easter witnesses and testifies, according to the Bible, that there is a resurrection from the dead and that Christ is alive according to the flesh. These things cannot be apprehended apart from God’s witness and testimony. They cannot be understood and held to be true based on our own personal experiences. Instead, the things of God are not naturally known. They are revealed through the heavenly Word, not the heavenly word of our own heart or head, but the heavenly Word written and sealed in God’s book, written by the apostles’ and prophets. If these Word’s of our Lord were not so, there would indeed be no bodily resurrection of Christ. There would be no ‘rose again from the dead’ or ‘rose again according to the Scriptures’ of the Apostolic and Nicene Creeds. Christians everywhere would be making false confessions and lying before the world of Him who died and rose again; if indeed Christ had not risen. If there were no resurrection of the dead, all worship and praise would be empty and worthless. There would be no need to worship in a Christian congregation, for all ‘roads would certainly lead to heaven.’ There would be no uniqueness to Christianity, for it would turn into a religion of salvation by works, as all the other religions are today. Believers and nonbelievers alike would all be going to the same place. It would not really matter what one believed, as long as one was sincere of heart. If Christ did not rise, then it would truly be as St. Paul says, “If in this life we only have hope in Christ, we are to be pitied more than all men” (v19). If there was no resurrection of the dead, and if Christ had not been raised, then the church’s proclamation of her risen Lord would be for nothing. Her number one priority would not be preaching the Gospel of forgiveness through Jesus Christ, but preaching man’s works and emphasizing his own endeavors, not in the service of others, but for earning recognition with God. God’s ministers would be false teachers and false witnesses, because they testify of God that He raised up Christ, whom He did not raise up – if in fact the dead do not rise (v14-15). If Christ had not been raised, faith would be in vain. Worship would be void and hypocritical. There would be no reason to come to church, even only a few times a year, because there would be no hope in this hopeless world. There would be no God but oneself, for who could know God if the Bible was untrue? There would be no eternal hope for a blessed peace. All would live as many do now, living for themselves and not for the Lord or for neighbor. There would be little concern for the future and more for the instant gratification of today. With no resurrection of the dead, nor resurrection of Christ, what would be the hope of sinful man before the just God? Could man by His work or ability satisfy the penalty of sin, the debt of iniquity, or the guilt of transgression? What would be the end of it all? And what would be the end of the entire world, even of us who confess Christ Jesus to be Lord, except hopelessness, misery, and grief. Satisfaction and contentment could never be guaranteed and everyone would be in the ‘rat race’ of trying to make peace with God at any expense and by any means. But thanks be to God! It is not as they in St. Paul’s day claimed. Nor is it as many in our day believe, that Jesus is a crutch and that one has the power to altar or change one’s destiny before God. Christ has indeed risen from the dead! This means everything to us and to Christ’s church. Death could not hold Him. The grave could not bind Him. The tomb could not contain Him. Christ was not sealed in by death. He opened the way to life, the hopeful life, the confident life, the blessed life, and the eternal life. Christ is your hope this day. By His death, He died your death. By His life, you are raised to new life. No longer does your guilt have the last word. Consciences are clear and free. The debt of your iniquity is paid. The penalty of your sin, forgiven. In Christ, you have everlasting hope before the just God. Instead of liable, you are innocent. Instead of accountable for sin, you are liberated from your sin. Peace with God is now our state of affairs in the presence of God. Christ is your peace. Hopefulness, joy, and delight are now your end. Instead of meaninglessness, there is meaningfulness in life. Christ is risen from the dead! Our faith in the resurrection is not in vain. He who died lives forevermore. There is reason for eager anticipation and joyous expectation of what will be. Our heavenly homecoming is drawing near. His Means of Grace are effective and powerful. God’s Word gives what it says. Even today, His Word works wonders. Great expectations are the product of the faith founded on the Lord’s promises, not only for the future, but even in the present. The Church’s proclamation of her risen Lord is not for nothing. Her Lord is her everything. Through liturgy and song, the church confesses her Savior. Through prayer and praise, she confesses her Christ. The preaching that man’s sins are forgiven in Christ Jesus continues to be the mission of the church. Man does not earn recognition with God by what He does. But God, in His mercy, grants His favor to man through His beloved Son. Through Jesus, God recognizes you as saint, holy, and righteous. The Lord’s resurrection is true. God’s Word is not untrue. Because Christ has risen from the dead, worship of the Triune God is not trivial and without value. Worship of God in spirit and truth is full of meaning and import. Because God and His Word are true, heavenly gifts are offered at the baptismal font and at the Lord’s altar. Our Lord speaks words of life. Those of His sheepfold listen to His voice and feast at His banqueting table of Word and Sacrament. Because the Lord is risen from the dead, there is complete uniqueness to the religion called Christianity. No other religion teaches the salvation of the God who became man, died, and rose again on the third day. All other religions do lead to the same place, but Christ alone grants eternal life. All others lead elsewhere. It really does matter what one believes, regardless of how sincere one is. The Apostolic and Nicene Creeds of Christendom are true. 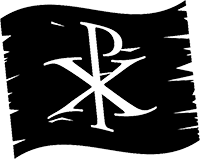 They do give an accurate witness to the faith of Christians everywhere, both of Christians today and of Christians before. Their confessions testify to the world of Christ’s resurrection and of Him who died and rose again. There is a ‘rose again from the dead’ and a ‘rose again according to the Scriptures’, for Christ has indeed been raised from the dead. The Scriptures are really true. The testimonies are correct. The Word is sure. The truth is found. There is much reason to rejoice this day. The Christ, who had once been slain, has burst His three-day prison. Death no longer entombs Him. ‘Christ has triumphed! He is living! Alleluia!’ (LSB 465, “Now All the Vault of Heaven Resounds”). This is a ‘Joyful Eastertide’, for Christ ‘the Crucified has sprung to life’ (LSB 482, “This Joyful Eastertide”). ‘He lives, yes, He lives, and will nevermore die’ (LSB 480, He‘s Risen, He’s Risen). Jesus is your Savior, faithful and true. Because He lives, you too shall live with Him, now and forevermore. Amen. These words seem to imply that Paul the apostle had not fully understood the significance of Jesus’ life for ethical living. In addition, these words suggest that Paul may have been deficient in applying Jesus’ words to the matters of his day. However, the very words of Paul in his letters demonstrate otherwise. Take for example Paul’s words as recorded in Romans 12, where he writes, “For I say, through the grace given to me, to everyone who is among you, not to think of himself more highly than he ought to think, but to think soberly, as God has dealt to each one a measure of faith” (v3), or these, “Let love be without hypocrisy. Abhor what is evil. Cling to what is good. 10 Be kindly affectionate to one another with brotherly love, in honor giving preference to one another; not lagging in diligence, fervent in spirit, serving the Lord; rejoicing in hope, patient in tribulation, continuing steadfastly in prayer; distributing to the needs of the saints, given to hospitality. Bless those who persecute you; bless and do not curse. Rejoice with those who rejoice, and weep with those who weep. Be of the same mind toward one another. Do not set your mind on high things, but associate with the humble. Do not be wise in your own opinion. Repay no one evil for evil. Have regard for good things in the sight of all men. If it is possible, as much as depends on you, live peaceably with all men” (v9-18). Specifically, these words of St. Paul the Apostle, inspired by God to write what he wrote, indicate not a seeking to understand, but certainty, in applying Jesus’ words to how God’s people are to live. St. Paul knew and understood what he was writing about, not, however, due to experience, but due to the revelation of Christ (i.e. 1 Corinthians 14:6; Galatians 1:12ff; 2:2; Ephesians 3:3). St. Paul the apostle was not seeking to understand how to live. He sought to preach Christ and Him crucified (1 Corinthians 1:23; 2:2). He sought to the please God who had sent Him. Ethically speaking, Paul knew how he was to live and how others were to live. He knew and believed what God had revealed to Him. The issue was not in Paul’s understanding, it was in actually doing what God said. Read Romans 7:7-25, for example. Here, Paul speaks of the struggle between his sinful flesh and the spirit. His problem was not that he did not “know” how to apply the teaching of Christ. He certainly did. Rather, his problem concerned the battle of the flesh and spirit, not only within himself, but also within everyone who has believed in God and His promises since the Fall of Adam and Eve, even into our day, even to the end of this world (see Galatians 5:16-26). Instead of seeking to understand Christ’s teaching for everyday living as God’s people, Paul sought to preach and teach the truth of God’s Word. In doing so, Paul actually did apply Jesus’ teaching to the everyday situations of the church in his day. He did not merely attempt to declare God’s law and judgment upon sin, and to preach the forgiveness of sins. He did proclaim these very truths, as God Himself had given him to do. Had the hearers of his preaching and teaching not believed or acted according to the words of Paul, this would not have been due to what Paul had said, but to the hardened hearts of those who heard him speak. Grenz and Smith’s use of the word “attempt” is unfortunate, for it leads the reader to assume that Paul failed to faithfully apply God’s Word. But look at the letters of Paul, and you will find something quite different. 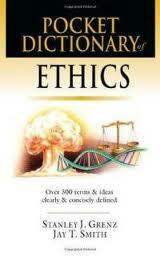 Stanley J. Grenz & Jay T. Smith, Pocket Dictionary of Ethic (Downers Grove, IL: InterVarsity Press), 2003. 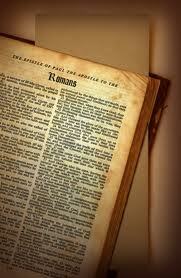 Romans, 1 & 2 Corinthians, Galatians, Ephesians, Philippians, Colossians, 1 & 2 Thessalonians, 1 & Timothy, Titus, Philemon. The very words “alone” or “only” are not grammatically next to the word faith in any of St. Paul’s letters. However, in the epistle of James, we have these words, “You see then that a man is justified by works, and not by faith only” (James 2:24). In Paul’s letter to the Romans, he writes, “that a man is justified by faith apart from the deeds of the law” (Romans 3:28). So which is it? Is man justified by faith (Paul), or is man justified by works and not by faith alone (James). Lutherans (and most non-Catholics) will affirmatively confess the former, Roman Catholics the latter. Whose right? For an answer, we must note that the emphasis of James is different than that of Paul. The context itself indicates this. James, clearly, is speaking of how works demonstrate a faith already present (Read James 2:14-26), while Paul is speaking of the righteousness of faith (Read Romans 3:21-26, 28, 2-8, etc.). As you read Paul in the sense that he is writing, that is, according to text and context, and with the words that he uses, even without the words “sola,” “alone,” or “only” preceding or post the word faith, the meaning Paul plainly intends is that righteousness is through faith, with no works attached whatsoever to justification (note esp. Romans 3:21, 28; 4:6—he doesn’t use the word “alone” or “only,” of course), but he does use the word “apart from” or “without,” depending how the Greek word is translated. For clarification, Luther did not add “faith alone” in order to justify the Lutheran tradition (See the following). The text of Paul’s letter to the Romans itself indicates that righteousness is through faith, without/apart from anything that man does (See the following). Paul an apostle—not from men, etc. From whence such boasting? Here is Paul, as we have heard, claiming not to be an apostle from men, but from God. On the one hand, such words sound arrogant, proud, and without foundation. Cult leaders and others all claim to have God’s calling. On the other hand, these words from a truly called and truly sent man of God are genuine and true. The difference between the two, between the one who is not from God and the one who is from God, is determined by their preaching, by their words. The false preacher might sound ‘right’, but he doesn’t preach according to the Word. The true preacher, however, does preach according to the Word. Paul’s boasting is right. He hadn’t chosen himself to preach (Acts 9). God had called him. And what did Paul preach—the Good News of sin forgiven in Christ. He preached that only Christ was Savior. His boasting was of Christ (1 Corinthians 1:31; 2 Corinthians 10:17; Galatians 6:14). His calling was sure. And this was his confidence, as well as those who heard him. This is also the confidence of those called today of God, and the confidence of those who hear them. Amen. Prayer: Heavenly Father, thank you for sending faithful pastors to preach only your Word. Give us your Holy Spirit that we discern between true and false preachers, hearing the one, but avoiding the other. Grant to your people everywhere faithfulness, and boldness to say what needs to be said. In Jesus’ Name. Amen. Does 1 Timothy 3:2 support women’s ordination, only declaring that it is not permissible for a bishop (Pastor) to have more than spouse, while not distinguishing between a male/female pastorate? To the Christians in Thessalonica, St. Paul wrote, “For this reason we also thank God without ceasing, because when you received the word of God which you heard from us, you welcomed it not as the word of men, but as it is in truth, the word of God, which also effectively works in you who believe” (1 Thessalonians 2:13). The Christian Thessalonians, when they heard the Word from Paul and his companions, they accepted it as God’s Word. How foolish they would have been not to do so! Paul wasn’t preaching his own Word, but the very Word that the Lord gave him to speak. So also with preachers today, preachers who do indeed preach only according to the Word! It is them you are to hear. They direct you to God and His Word. They direct you to Christ. If any preacher direct you elsewhere, then he is not a faithful preacher of Christ and him crucified (1 Corinthians 1:23). The servant of the Lord preaches God’s Word. He doesn’t just say that he does; he actually does. This doesn’t imply perfection. But it does indeed indicate that he preaches nothing else than Jesus, for only in God’s Son do you have the hope of eternal life. It would be foolish to listen to another, to another who doesn’t preach God’s Word and Jesus our Savior! Jesus says, “My sheep hear My voice, and I know them, and they follow Me” (John 10:27). The Lord’s sheep hear His Word. Thus do they go to hear where the Lord’s Word is truly preached and spoken. Thus do they rejoice and give thanks for Godly ministers who really do preach the truth. And that’s where they go—not because of the man, but because of the Word! Prayer: Lead us, heavenly Father, to rejoice and give thanks for Your Holy Word, through which You, according to Your abundant mercy, make known to us our salvation through faith in Jesus Christ. Help us to uphold and encourage those who preach the truth, that we honor them rightly as Your called and ordained servants. Amen.